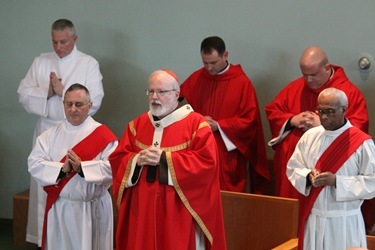 Last week, on the Sunday after the Feast of Candlemas (the Feast of the Presentation of Our Lord) the Church observed World Day for Consecrated Life, a celebration which was instituted by Pope John Paul II. As the Church celebrates the gift of the Consecrated Life, I wish to say a word of appreciation and congratulations to all religious. 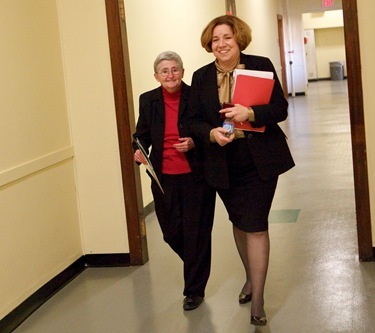 The document prepared by Sister Marian Batho and our Bicentennial committee chronicles the stunning accomplishments of our religious communities in the Archdiocese of Boston. 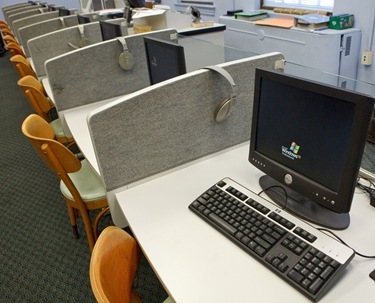 The exhibition at the Smithsonian Institute in Washington: Women and Spirit: Catholic Sisters in America likewise underscores the invaluable contributions of religious women in the history of our country. My personal debt to the Sisters and Priests who mentored me in my vocation is enormous. I know that I speak for generations of Catholics who have benefited from the selfless service of thousands of religious sisters. In December I was pleased to have the opportunity to meet with our Religious Superiors of Women concerning the Apostolic Visitation of Institutes of Women Religious in the United States. It was very helpful to hear the Sisters’ questions, and to share with them that Mother Mary Clare Millea has assured me that she and her staff stand ready to address any concerns. 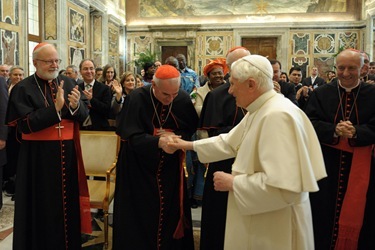 It is my hope that all of our religious communities will participate fully in the Apostolic Visitation process, to further the spirit of communion in the Church. 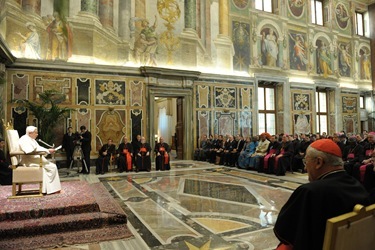 I also shared with the Superiors my conviction that the visitation is not a criticism of religious life, but rather an opportunity to reflect on our lives and strengthen our vocation. 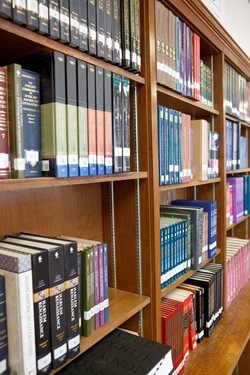 Having been part of seminary visitations in the United States and Latin America, I realize that there are challenges in the process, but the outcome was always helpful. The process provides us an opportunity to come together and reflect on the treasure of our religious vocation, the charism of our founder and our ministries in addition to the witness of consecrated life. 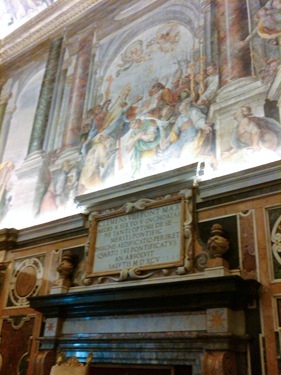 Once again, I want to thank all of our consecrated religious for making a gift of your life to Christ and His Church. Thank you for your tireless efforts to make the Kingdom more visible and more present in our world, and please know of my gratitude for your prayers and good example, of which I am a grateful beneficiary. 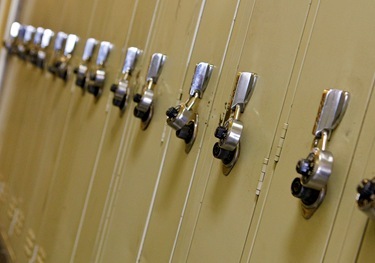 Next week is Ash Wednesday, which of course, begins the season of Lent. An important Lenten initiative we are holding during this Year for Priests is The Light Is On For You. Through this effort we are highlighting the importance of the Sacrament of Reconciliation by having the sacrament available throughout the archdiocese at all of our churches and chapels on Wednesday evenings and inviting people to receive the sacrament and to invite friends and family members to take advantage of this opportunity for Reconciliation. We feel that Lent particularly is a very privileged time for people to return to the sacraments and it is our hope that this program will bear great spiritual fruits for the archdiocese. The Light Is On For You! 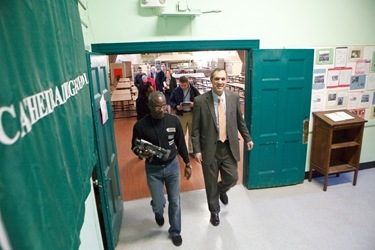 from bostoncatholic on Vimeo. Also, please watch the following video message from Father Bob Reed, director of CatholicTV, on this important new initiative. 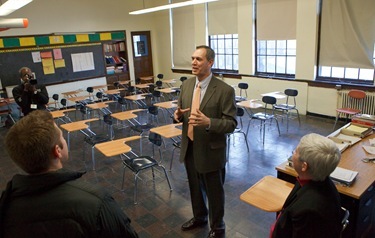 On Thursday I took part in a press conference Cathedral High School to announce that seventh and eighth grades will now be added to the Cathedral High program in an effort to begin to prepare students sooner for the high school program. 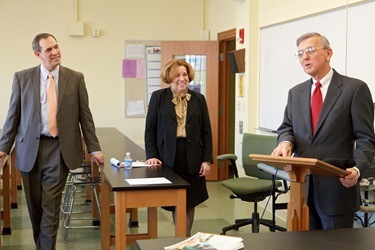 Cathedral High’s headmaster Tom Arria spoke at the press conference, along with the principal of the new junior high Sister Eleanor Daniels, our Superintendent of Schools Mary Grassa O’Neill and Cathedral High board member Michael Daley. I also said a few words. 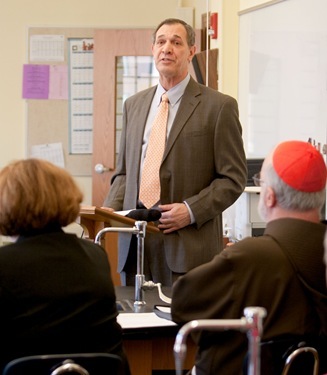 The press conference was held in one of the school’s science labs. So, when I began my remarks I joked that I could give the media a great photo-op if I just tugged the cord of the emergency shower that was behind us — but I resisted the temptation! 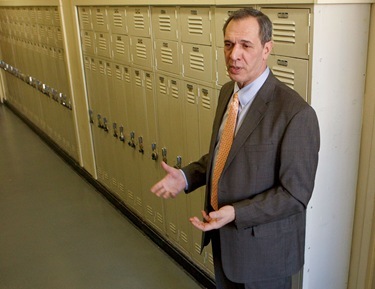 Following the press conference, Tom Arria led the group on a tour of some of the facilities that will be used by the junior high. 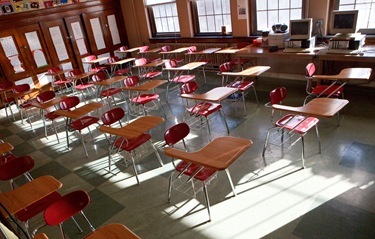 I understand that they will have an area of the school that is separate from the high school. 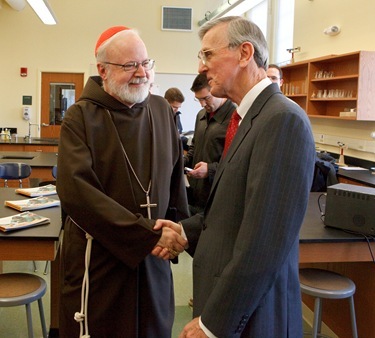 I was very pleased to see several members of the media there including our archdiocesan newspaper The Pilot. You can read their story on the announcement here. 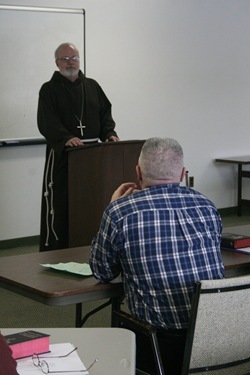 Then, over the weekend, we held Vocation Office Discernment Retreats for both and St. John’s and Blessed John XXIII seminaries. 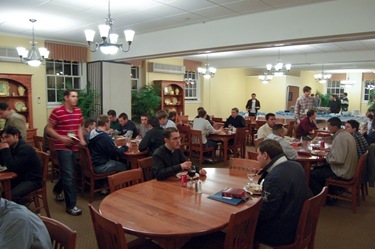 The gathering with Blessed John retreatants was a one-evening retreat held at the seminary itself, in Weston. 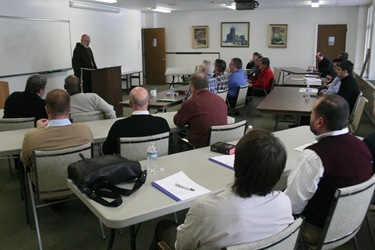 There were about 15 older men who are interested in knowing more about the priesthood. 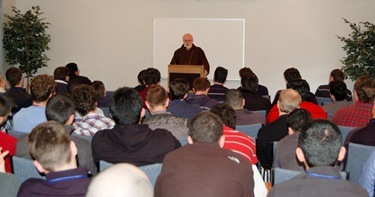 The St. John’s retreat ran from Friday evening through Sunday at the Connors Retreat Center in Dover. There were 47 men in attendance there. 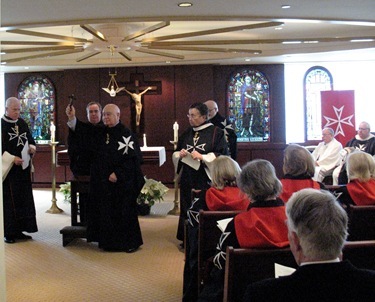 In fact, we could not have the retreat at St. John’s because we don’t have enough rooms there any more! As I always say, it is a good problem to have. The current seminarians also joined us, so there was an opportunity for the young men there to hear their testimony as well. 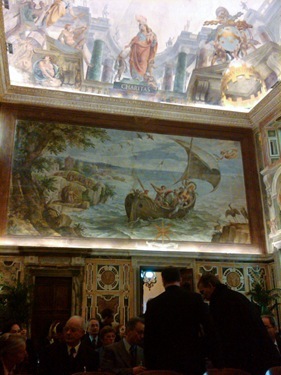 I gave a number of talks at both sites. It was an opportunity to encourage and help these young men in the process of discernment. We’re very pleased that so many participated in the retreats. 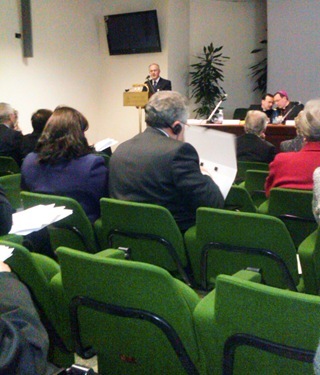 Over the weekend I flew to Rome to participate in the Plenary Assembly of the Pontifical Council for the Family. 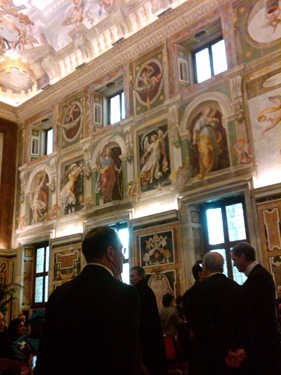 This is the first time I have participated in this pontifical council. I have, in the past, been a part of their activities in South America and Spain, but this is the first time I am attending as a member. 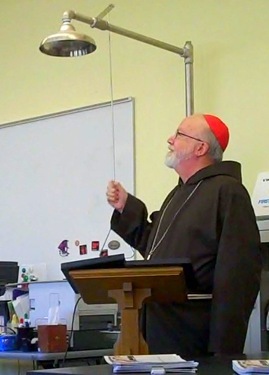 I am the only American cardinal on council and Cardinal George Pell from Australia and Cardinal O’Brien from Scotland are the only other English-speaking cardinals. 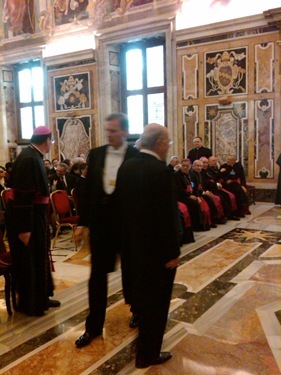 The president of the Council is Cardinal Antonelli, who was formerly the Archbishop of Florence. 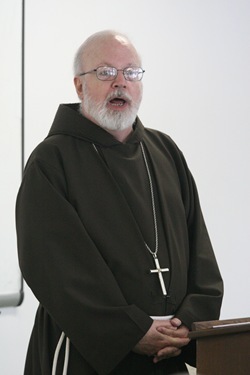 There are, however, a number of Americans in the council including: Supreme Knight Carl Anderson and his wife Dorian; John Grabowski, a theology professor at CUA and his wife Clare; Frank and Julie LaBoda, who are the head of Retrouvaille, a program to promote healing and renewal in marriages; Dr. Timothy T. O’Donnell, the president of Christendom College, and his wife Cathy and; Professor Janet Smith, who is a moral theologian. 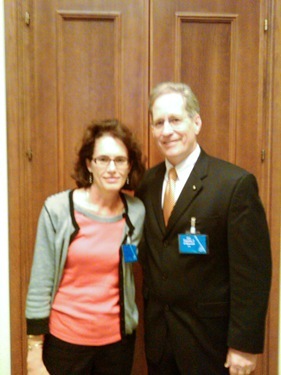 My very good friends from Honduras, Leonardo Casco and Marta Lorena Casco, are also members. 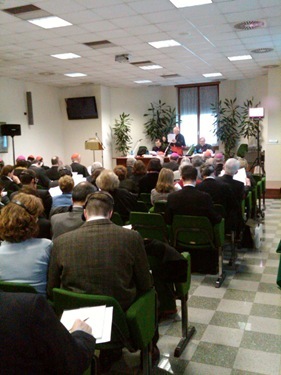 The Plenary Assembly met for three days — Monday, Tuesday, and Wednesday. This year’s theme was the rights of children. Quite a bit of interesting discussions comparing how that interfaces with rights of families. 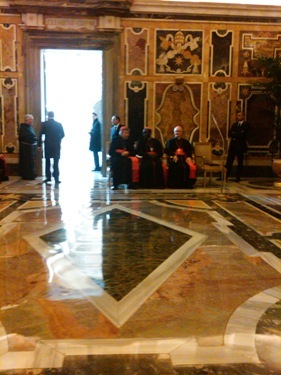 On Monday we met with the Holy Father who addressed us on this issue. Your Plenary Assembly has as its theme “The Rights of Childhood,” chosen with reference to the 20th anniversary of the Convention approved by the United Nations General Assembly in 1989. In the course of the centuries, the Church, following the example of Christ, has promoted the protection of the dignity and of the rights of minors and, in many ways, has protected them. Unfortunately, in some cases, some of its members, acting in contrast to this commitment, have violated these rights: a conduct that the Church does not cease and will not cease to deplore and condemn. The tenderness and teaching of Jesus, who regarded children as a model to imitate to enter the Kingdom of God (cf. Matthew 18:1-6; 19:13-14), has always constituted a strong appeal to nourish profound respect and concern for them. Jesus’ harsh words against those who scandalize one of these little ones (cf. Mark 9:42) commit all to never lower the level of this respect and love. 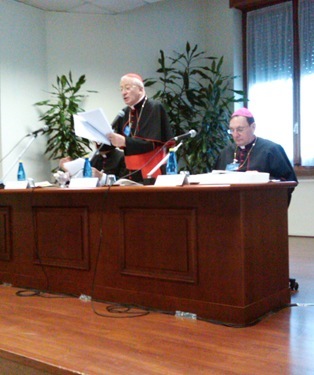 That is why the Convention on the Rights of Children was also received favorably by the Holy See, in as much as it contains positive principles on adoption, health care, education, the protection of the disabled and of little ones against violence, abandonment and sexual and labor exploitation. In the preamble, the convention indicates the family as “the natural environment for the growth and well-being of all its members, especially children.” Certainly, it is precisely the family, founded on marriage between a man and a woman, which is the greatest help that can be given to children. They want to be loved by a mother and a father who love one another, and they need to dwell, grow and live together with both parents, because the maternal and paternal figure are complementary in the education of children and in the construction of their personality and their identity. Hence, it is important that everything possible is done to make them grow in a united and stable family. 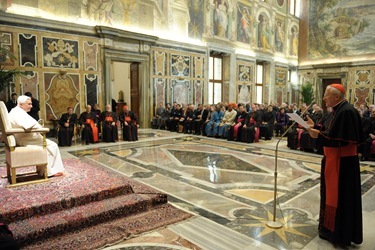 To this end, it is necessary to exhort the spouses never to lose sight of the profound reasons and sacredness of the conjugal pact and to reinforce it with listening to the Word of God, prayer, constant dialogue, mutual acceptance and mutual forgiveness. A family environment that is not serene, the division of the couple and, in particular, separation with divorce do not fail to have consequences for the children, whereas supporting the family and promoting its good, its rights, its unity and stability, is the best way of protecting the rights and the genuine needs of minors. 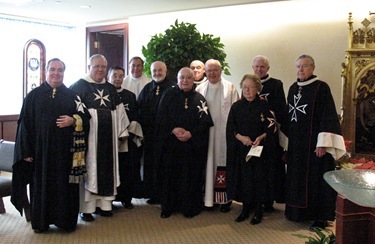 Finally, two weeks ago, the Order of Malta gathered at the Pastoral Center for the occasion of Augustus “Gus” Grace being professed as a Knight of Justice. The Very Rev. John McGuire, O.P., Principal Chaplain for the Order’s Subpriory of Our Lady of Lourdes was the principal celebrant for the Mass, with Msgr. 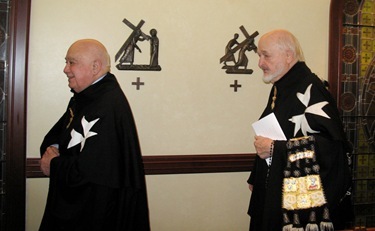 Dennis Sheehan and Father Mark Hession, both Magistral Chaplains of the Order, serving as concelebrants. 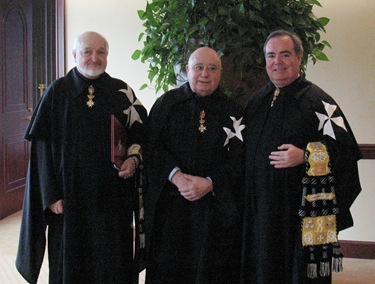 Desmond McCarthy, a Knight of Obedience, participated in the profession ceremony, assisting Gus in making profession to Fra’ John Dunlap, a member of the Sovereign Council of the Order. 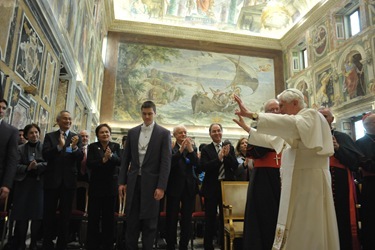 Becoming a Knight of Justice, Gus professed chastity, poverty and obedience, giving witness to the Order’s history of being founded by Religious Knights more than 900 years ago and governed by professed religious ever since then. We congratulate Gus on this honor and give thanks to God for his commitment to the work of the Church!